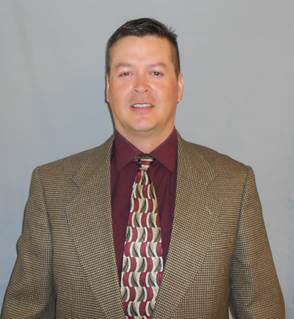 Dave Pond is Jefferson County’s new Emergency Manager Sergeant. Jefferson County Deputy Mark Foster has been working as a reserve for years, covering Blann’s days off and sometimes responding to nighttime calls. When Blann died suddenly on February 15 at the age of 63, Foster stepped up to cover his shifts. Foster has a long history of law-enforcement work in Camp Sherman and the Metolius Basin. 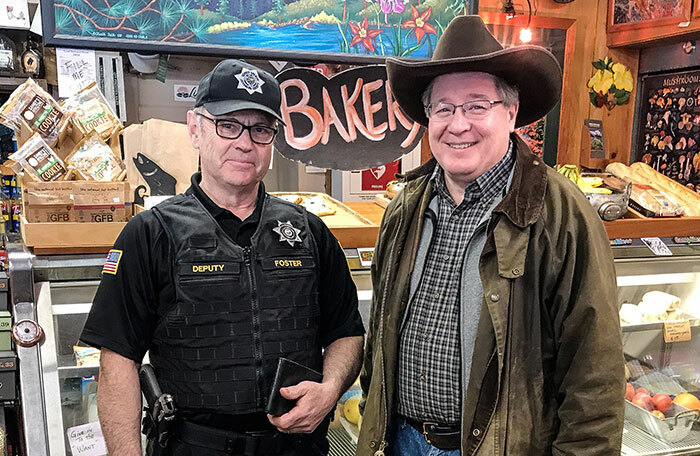 He actually started Jefferson County’s resident deputy program in Camp Sherman in 1981, and worked there full-time until taking a position as manager at House on the Metolius in 1987, whereupon he became a reserve deputy. In 1995, he founded the Camp Sherman Hasty Team, a small but well-trained and highly regarded search and rescue unit that covered the Metolius Basin and assisted in search and rescue operations in other areas across Sisters Country. He led the Hasty Team until 2011, when Blann took over direction of search and rescue operations. “I still get involved a little bit in search and rescue,” Foster said. The Jefferson County Sheriff’s Office had already begun reorganizing its search and rescue capabilities and structure after Blann informed the sheriff that he planned to retire in a couple of years. Pond served as an Oregon State trooper from 1993 to 2000. From 2000, he served as the region’s Fish and Wildlife sergeant for a decade, and as a patrol sergeant in Bend. Pond retired from OSP in October 2017 and worked for the Deschutes County Sheriff’s Office last year doing marine, ATV, and snowmobile patrols. Foster said that the tight-knit Camp Sherman community is coming to terms with the loss of their 20-year resident deputy. And in the meantime, they’ll know that Deputy Foster is on the road, keeping an eye on the forests, fields and streams of Camp Sherman.